Our homes are our safe havens shared with loved ones, and beautiful modern home design is something many homeowners aspire to attain. Trends come and go but modern design has staying power. Indeed, who wouldn’t want large expanses of windows with natural light filtering in and an invitingly open floor layout? What’s confusing is some people believe modern equals contemporary or traditional. However, regarding home planning it basically refers to a design fixed on minimal form and function. For example, open living spaces, earthy hues, and natural materials such as cedar and stone are all vital to a modern living space. Achieving modern-day building style is effortless when you bear in mind the individual elements of design. To begin with, a modern floor plan is more symmetrical and intentional than traditional floor plans that were somewhat haphazard and not as well thought-out. Modern floor plans are open and flow sensibly from one room to the next. Further keep in mind that modern architecture embraces clean lines with minimal embellishment. Modern home design connects the indoor living space with the outdoors. After considering your local climate and landscape, think about implementing an organic garden, indoor trees, sliding exterior walls, and a spacious deck. Longhouse Specialty Forest Products specializes in only the highest quality timbers and delivers cedar wood decking, a popular choice in modern home design, in several custom profiles. Lustrous Douglas Fir post and beam is also a sophisticated material used to accentuate a modern home. Warm, earthy tones are often an integral characteristic of modern home projects. For the interior or exterior of the home, natural cedar wood, including rich Western Red Cedar, can be delivered pre-stained in the colour of your choosing by Longhouse. Consider how even the smallest details affect the overall look of a home. Energy efficient windows and modern cupboard hardware are timeless design features. Thoughtfully planned homes often include a focal point for family gatherings and leisure. 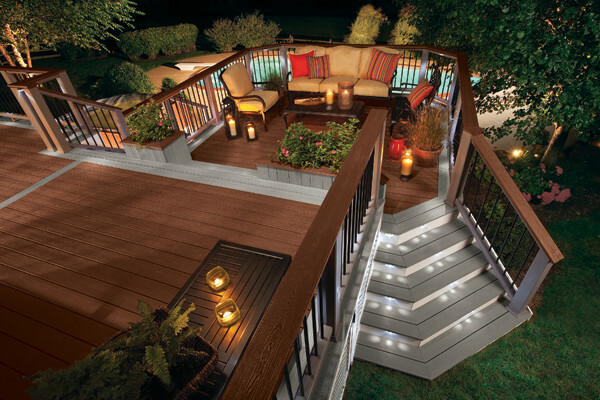 For instance, a modern cedar deck incorporates an outdoor kitchen, hot tub spa area, or even a soothing water feature. Eliminate busy wallpaper, old fashioned small tiles, carpet, and slender strips of wood—major design elements in traditional schemes. Instead, opt for wide plank Douglas Fir flooring—ideal for high traffic areas with a fresh, organic grain. If renovating, simply replacing old paneled doors with sleeker designs and hardware provides a straightforward update. Architects respect ‘vernacular’ designs, otherwise known as local trends, and that applies to West Coast style. 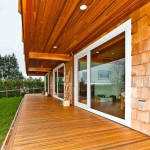 Coastal homes incorporate the warm, natural beauty of Cedar siding, a prime choice in modern design. Cedar creates a gorgeous design aesthetic as decking, eaves, fascia, siding, and soffits. Large floor plans and basic square design make up a modern look. Also plan for larger windows to let more natural light inside and enhanced outdoor views from the inside. A flat roof is another indicator of modern house design, in addition to simplified eaves and other streamlined roofing materials. Natural looking textures incorporate the warmth of nature into your modern home. Cedar wood is available in visually smooth or knotty textures, distinctively natural characteristics. Douglas Fir plank flooring also provides a vibrant, natural feel to modern living spaces. 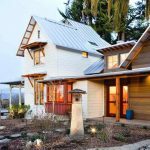 Indisputably, a modern house is built with sustainable, natural materials that are recyclable and renewable. In achieving modern home design, consideration must also go into installing efficient heating and cooling systems, and of course, energy efficient appliances and lighting. Longhouse is the perfect place to source the popular Cedar and Douglas Fir wood required for your built-to-last modern home. Renewable and Forest Stewardship Council certified, and therefore, sustainable, these natural materials are ideal in designing your modern sanctuary. As well, Longhouse specializes in custom cut Western Red Cedar, Yellow Cedar, and Douglas Fir. We’re here to assist you in planning your luxurious new living space that will surely provide years of pleasure and satisfaction ahead. The straight grain in Cedar makes it a very stable wood when turned into siding. Being slightly harder than other softwoods, Cedar comes with a host of benefits when used as a siding because it is less likely to cup, split or swell. Cedar is largely admired for being resistant to rot and many insects. Whether you choose to redo the entire house or just sections of it in Cedar siding, here are some great siding styles you can choose from to create the right aesthetic for your home. Probably the most common form of siding is the lap siding, also known as bevel or clapboard siding. This type of siding is created by sawing a board lengthwise in a slight pie shape, creating a narrower edge on one side. Starting at the bottom of the wall, the siding boards are slightly overlapped on top of each other as you move up the wall, thus the name “lap siding”. This type if siding layout is durable and sheds water quite well as there are no edges to absorb and hold moisture. The more overlap there is with the boards, the sturdier the structure will be, with the average exposure being from four to eight inches. A smaller exposure area is a more expensive look as it will require more pieces of siding to achieve. Although Cedar doesn’t necessarily require any staining, periodic staining and painting can help to keep it looking fresh and vibrant for decades. If you live in a particularly wet climate, you may wish to do some caulking around the edges to help reduce any weather damage. Drop Channel Siding is probably one of the most versatile styles of siding because it can be installed horizontally, diagonally, or vertically. This type of siding is very popular with cabins. As the name suggests, this siding is achieved by cutting a small groove down the long edge on the bottom of the board, and then milling down the top edge which would be able to fit snuggled into the grooved edge as the siding boards are overlapped on top of each other. An added benefit to this type of siding is the overlapping edge on the grooved side of the board which then overlaps the adjoining piece. This small ledge is perfect for allowing any water to bead from the board and not slip into any nooks or crannies. Another benefit is the how it allows the wood to expand and contract with the temperature changes without compromising the structure. Aesthetically it can provide a rustic appearance to the exterior of the home and the partial and overlapping beveled edge creates an interesting shadowline. Much like the Drop Channel siding, this can also be installed in any direction. As its name would suggest, each board is milled with a groove on one side and a corresponding tongue on the other to allow the planks to interlock securely together and create a smooth surface. This type of joinery is often used in antique wood flooring. The concept of the Split Logs is perfect for anyone who logs the log cabin look, but still loves their current more modern home. Regardless of the size of your home, this look can establish a cozy ambience and create a more inviting atmosphere. To create this look the wood must be sawed with the bar still attached. One side of the board retains its curved, natural log appearance, while the underside is flat so that it can be attached to the wall, giving the final appearance of logs. It is quite common to provide a protective sealant to this type of siding to assist with sealing out moisture and preventing insects from venturing behind the panels. Maintenance is very similar as with any other type of Cedar Siding. This historic style is commonly used on the exterior of barns and other farm buildings. Installed vertically, it is made up of alternating wide and narrow boards. The wide boards are spaced evenly across the exterior with the narrow boards nailed over the space between then. The batten is the narrow stip. This particular style allows for greater expansion and contraction of the wood, developed by farmers who often used unseasoned wood and varying widths of boards. Nowadays the need for this not necessary as most wood used in siding has been properly seasoned. In the case of Cedar, it naturally resists this type of movement, which makes it so perfect to use as siding. Shake Siding looks a lot like shingles but is thicker and more durable. Shake can more of a roughhewn cut to it, and are sometimes sawn by hand. Shakes can be purchased in 16, 18, or 24-inch lengths, and are usually attached to a sheathing starting at the bottom of the wall. Each layer overlaps the other, providing a very rustic, course look to the exterior of any home. Shingle Siding is very similar to Shake expect that the shingles have been smoothed out and are more consistent, giving a slightly more modern look. This type of Siding was quite popular on Victorian homes and can be stained or painted depending on the desired look you want to achieve. They are easy to install and preferred for oddly shaped walls such as turrets. Much like Shake, is recommended to have them treated with a fire-retardant and check building codes in your area to be sure that they are allowed. Often this type of siding is only prohibited in area that see frequent fires. Again, if you’re using Cedar, minimum maintenance will be required as the wood is already insect and rot resistant. And if left unsealed, will age nicely over time. Come check out our huge selection of Cedar Siding, our experts will help answer all your questions to make sure you select the right siding for your home. Nothing beats the beautiful rustic exterior of a home with Cedar shake siding. With so many newer more modern options many forget that unfinished Cedar wall shingles can easily last 50 years. And you can get even longer life with the right installation techniques. And if you’re looking for something which will give a long, maintenance-free life, then this is definitely what you’ve been searching for. Unlike siding, when Cedar shingles are installed correctly, any one spot on the wall may be three layers thick. Making sure they’re installed over a drainage mat or dimpled plastic sheet not only helps to prolong shingle lifespan, but it helps to hold the shingles away from wall sheathing so water can drain out. This low-density softwood has an open cell structure, unlike other siding materials. It’s a terrific insulator. And because of the density, less heat is transported through the wood, which means less heat escaping your home during the winter, and less cool air escaping during the summer. The layer of the shingles also helps to create a natural acoustic barrier which is great if you live in the city near a high traffic area. But let’s be honest, most people don’t choose Cedar shake for all of its fabulous durable properties, but it’s style. Cedar shake or Cedar shingles do come in a variety of stains and textures. The natural look it offers blends well with your environment. There is a spectrum of patterns and styles including bevel, board and batten, channel, tongue and groove, and wavy edge bevel. In its unstained, unfinished natural state it offers a textured, grainy wood with a subtle aroma. But if you need a little colour in your life, you always have the option to paint it. Sometimes maintenance can be a huge deal breaker when it comes to choosing which siding or shingles are best for your home. Maintenance is the equivalent to be told by your parents to clean your room when you’re perfectly happy with how everything looks. The great thing about Cedar is that it has natural antibacterial and anti-fungal properties, which mean you can leave the wood untreated without worry of warping, rotting, or cracking. However staining or painting won’t detract from these natural properties. However, the natural weathered appearance it attains over time is often a most desired look to attain. Which just proves its timelessness and durability. If you like the stained look you will need to re-stain or re-paint on a semi-annual basis. Just like any other shingle or siding, basic maintenance will always be required. Like any other exterior, you’ll greatly expand the lifespan if you annually pressure wash it. Just be sure not to turn up the pressure too high or you could strip and damage the Cedar. Whether you own your own pressure washer or you rent one from your local hardware store, it’s probably the only major part of maintenance you’ll need to do other than checking for any loose or damage shingles from natural weather occurrences. This long-lasting and attractive building material is available in a shake shingles or siding in our Coastal Western Red Cedar. Use it as an accent piece or cover your entire project. Whether you’re going for traditional rustic or sleek and modern, you’ll be find the beauty of Coastal Western Red Cedar provides an eye catching natural design aesthetic. The appealing qualities of Western Red and Yellow Cedar siding are well-known to architects, engineers, and homeowners. Aesthetically pleasing in its natural state, consumers desire it for this quality alone, in addition to its pleasant wood scent. When maintained regularly, cedar wood also outlasts many other types of siding material. But one of the major reasons Cedar siding remains superior to other man-made siding options is because of its small environmental footprint. Siding substances, such as concrete, steel, and composite, simply cannot beat cedar in the eco-friendly department. Cedar breaks down naturally to be absorbed back into the earth without the harmful effects of other man-made siding. Consumers can appreciate that when the cedar siding has come to its natural end that it won’t end up leaking toxins into the earth in a landfill. Since cedar maintains inherent protective properties, the siding will help insulate the home better, thereby reducing heating and cooling costs year-round. Although more expensive than certain siding material, the homeowner eventually saves in utility costs with cedar. Manufacturing wood produces less toxins and greenhouse gases than man-made siding materials. Therefore, air and water quality are not adversely affected by cedar siding. As mentioned, the energy required to manufacture, transport, and install steel for example, is much higher than energy use for cedar. BC sourced Western Red Cedar siding simply does not require the same amount of energy to produce as other substances—definitely a winner in the ‘green’ department. Cedar wood is easily recycled (as wood chips for instance) and regenerated like no other material can be. Man-made materials often emit toxins into the air when manufactured and eventually get dumped into our landfills—not cool. Wood may be replanted and harvested many times over. Indeed, it is the only building material that is 100% renewable. In BC alone, there is an average of 8 million seedlings planted annually. Most other used siding material is transported to a landfill. Meanwhile, cedar trees are replanted and continue to fill our air with more oxygen, while simultaneously reducing pollution by absorbing carbon dioxide. Cedar trees are a huge benefit to the green movement! Untreated cedar wood siding does not release any toxins into the air and it therefore safe for everyone’s health. Certainly, builders select Western Red and Yellow Cedar siding for plenty of excellent reasons, including its less harmful environmental impact for future generations. Homeowners value nature-friendly cedar siding for not adding to the toxic build-up of material in our landfills and for leaving a more positive future ahead for their children than previous generations. As a consumer, when you purchase Forest Stewardship Council certified wood products, you can appreciate that the wood is sourced from FSC® certified forests. Longhouse Specialty Forest Products maintains the FSC® certification by the Rainforest Alliance. Sustainable cedar forests are carefully managed in the Pacific Northwest. Therefore, purchasing cedar siding from Longhouse that is directly sourced from Vancouver Island is a win for everyone, including our planet. Builders and homeowners continue choosing cedar siding for new builds. Cedar’s awe-inspiring, long-lasting beauty, renewability, and textural appeal simply can’t be beat. But while many value the style and natural appeals of cedar, there remain those intimidated by the maintenance of cedar siding. Although custom cedar siding is incredibly resilient to insects and rot, owing to its natural preservatives, it remains imperative the homeowner care and protect their exterior siding regularly—doing so effectively increases its lifespan. Though cedar is strong, neglect diminishes its life and brings about possible cracking and early decay. Therefore, it’s important to find out how to serenely enjoy the amazing benefits of cedar siding longer. Cedar siding generally has a life expectancy of 20-40 years, but can last an amazing 60-70 with meticulous care. Cedar’s longevity also depends on whether left in its natural state or stained. Some manufacturers offer warranties of 25 plus years for cedar siding. Applying finish certainly extends the life of cedar siding. In contrast, cedar siding that touches the ground, making it vulnerable to moisture and pests, greatly shortens its life. For instance, cedar shakes will soften and rot in about five years if left untreated under rainy conditions. Homeowners should inspect cedar siding regularly for three things: insects, moisture, and cracks. For instance, termites cause severe damage to cedar siding so it’s important to find problems early before it’s too late. Moisture should be limited as much as possible on the cedar siding keeping it off the ground and by ensuring gutters are cleared to keep water away from the siding. Filling in cracks as soon as you notice them with sealants or paint will also keep moisture from entering the wood. Cleaning cedar siding is not unreasonably pricey and is completely within a homeowner’s capabilities. Untreated cedar siding weathers over time without excessive warping and cracking, but still requires care. Stained cedar siding requires more maintenance than other woods, but also lasts longer. A thorough cleaning once or twice a year will greatly extend the life of cedar. Prone to dust and dirt accumulation, cedar exterior siding receives a good pressure wash (on the lowest setting) well. Basic items required for cleaning cedar siding are: bleaching oil, clear coat, paint, detergent, and sealer. As it ages, cedar loses some of its natural oils, hence the need for upkeep. Begin with a soap and water solution to scrub the siding and wash it down; then, apply bleach on any mold or mildew spots. Vinegar is also an effective, environmentally friendly option. A soft brush can be used for scrubbing. Follow immediately with a good rinse to avoid soap residue. In addition, an annual pressure wash on the lowest setting helps your cedar siding last, and keeps it looking great too. Cedar siding requires repainting or resealing at least once/year to help it last. A protective coating also helps prevent deterioration and discolourations. Reconsider leaving cedar siding in its natural state—rustic cedar has character, but is also more vulnerable to wear and damage. Professionals suggest re-staining or re-painting cedar exterior siding on a semi-annual basis, but it depends on the quality of the stain used and weather conditions. Cedar may be left untreated in its natural state, or it can be covered with a clear coat by Longhouse Specialty Forest Products. It can also be painted in red or white. Wash siding with a mixture of 1 part bleach and 4 parts water. Remove any traces of dirt; pat the siding dry with a cloth. Pressure-wash if necessary. Remove old protective coating or finish with a power sander and 220-grit sandpaper. Sand until the natural grain is fully exposed. The cedar surface should be smooth. Remove sawdust with a clean cloth. Apply the new layer of stain or paint with a brush, in a colour of your choice. Use many thin layers of stain for an even coat. Avoid letting stain pool and allow to dry according to instructions. A second application can be applied if a deeper stain is desirable. Lastly, seal the siding with a coat of clear finish. Cedar siding comes in a wide array of styles, such as bevel, channel, tongue & groove, and board and batten, so careful maintenance protects the look and properties. 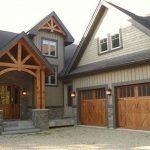 The friendly staff at Longhouse Specialty Forest Products can assist you in finding the best cedar siding to suit your needs and lifestyle. There are many first-rate wood species to choose from for new builds and renovations. Wood is a tried and true material to use in classic and modern construction. While the choice is important as to which material to use, and possibly which kind of stain to have applied, there is an additional treatment to consider after the wood selection is made, and that is whether or not to have a fire retardant treatment applied to the wood. According to the National Building Code of Canada, “Fire-retardant-treated wood” (FRTW) is imbued with fire-retardant chemicals in solution under high pressure in accordance with the CAN/CSA-080 Series of Standards, Wood Preservation. Therefore, the treatment in this respect decreases surface burning characteristics, like flame spread, rate of fuel, and smoke impact. Certainly, any builder can understand the importance of having this treatment applied to their project, particularly for a new school. According to owner Brian Jenkins at Longhouse Specialty Forest Products, his company has been applying various non-toxic lumber fire retardant treatments since 1999. Furthermore, the treatment may be applied to all lumber species, such as Douglas fir or Western Red Cedar. As to the costs, they are similar to pre-staining rates. The procedure must be applied before other stains to dry, untreated lumber. So, if required by an architect, a builder would purchase the Fire Spread Rating (FSR) treatment to fulfill their specifications. The treatment is water-based, non-toxic soluble chemicals suspended using water as a medium to apply to the lumber. Next, the wood is dried, with pre-staining applied later. The fire retardant can be used for interior or exterior applications, such as lumber siding on the exterior or fir timbers on the interior. To illustrate, Western Red and Yellow Cedar lumber of 19 mm thickness have a FSR of 73 and 78, respectively. Preventative fire treatment is employed by Longhouse to protect your lumber investment to Canadian standard CAN ULC S-102 < 25 FSR and American standard “CLASS A” < 25 FSR, as stated in the company brochure. The professionals at Longhouse have applied this treatment for all types of building developments throughout British Columbia. Projects range from schools, institutions, hotels, commercial buildings, to both single and multi-residential builds. For further information, contact the knowledgeable staff at their Parksville office. They are filled with valuable information and two decades of experience in the application process. When it comes to deciding on whether to choose a pre-stained cedar siding or decking for your project many people often fall back on cost alone to make their choice. But there are actually many added benefits to investing in a pre-stained cedar for your project that will actually save you more money over time. Unless you’re going for an aged look to your cedar siding or decking, it’s recommended to use pre-stained cedar before you begin your project. Untreated cedar often has some degree of “mill glaze” on it, this is a smoothness that is caused by the mill blades. The heat from the blades has a tendency to polish the wood, sealing the grain – mill glaze – making it more difficult to get a deep stain that won’t wear off in a year. If you’re going to pre-stain your own cedar siding or decking, make sure to use an oxalic acid on the cedar to help remove the mill glaze. Allow time for the wood to properly dry before applying the stain. All of the extra steps alone involved in staining your own cedar are enough to convince you in investing in a pre-stained choice. But wait, there’s more. To save yourself a lot of time and money, purchasing a pre-stained cedar for your siding or decking is more than just a cost saver, it’s also a cost saver as you won’t have to worry about any pesky mill glaze, clean up, weather delays, and time. Using pre-stained cedar also ensures that all edges of the siding and decking will be sealed, and you won’t have to worry about moisture getting at areas you couldn’t reach. You will also have a more even distribution of the stain, keeping your stain colouring more consistent, helping you avoid any unsightly dark discolorations or other inconsistencies in coverage. Although cedar contains oils which are naturally rot resistant, not many people know that it is only the heartwood of cedar that is resistant. Heartwood is generally darker wood closer to the middle of the tree trunk. Chemicals called “extractives” form in the heartwood as the tree grows, it is these extractives that give the heartwood its darker colour and its rot resistance. However, no extractives form in the sapwood, making it no more rot resistant that any other type of wood. Unless you are an expert in cedar, it may be hard to tell if your decking or siding is comprised of cedar heartwood. Using pre-stained cedar can help to ensure a uniform seal of protection throughout your entire project. Whether using cedar for residential or commercial building applications, pre-stained cedar not only preserves the grain, but also offer further design choices. The UV protection the stain provides will also add to the preservation of your aesthetics for decades to come, meaning minimal upkeep. The eco-friendly benefits of not having to worry about any type of chemical accident happening in or around your home or business due to staining helps to preserve the environmental safety of your family, friends, colleagues and customers. Come check out Longhouse’s specialty cedar products and speak to one of our experts today and we’ll help you find the best product to suit all your building needs. We use only the highest quality logs from Vancouver Island and precision equipment to create specialty products. We provide mill direct services and ship straight to our customers. Post and beam is a simple but sophisticated way to design a custom timber frame home. Basically, post and beam is the term used for building with heavy materials, such as Fir. The posts support the beams. Hence, post and beam refers to any building that uses these two pieces in their construction. The most popular natural timber for post and beam construction, Douglas Fir, is handily sourced on the west coast, thereby making it both a sustainable and locally sourced choice for a new building project. Quality Vancouver Island Coastal Douglas Fir is readily available through Longhouse Specialty Forest Products. Customers select this western wood species (Pseudotsuga mensiesii) to create beautiful and luxurious looking modern custom homes. Additionally, post and beam is nice and simple. It’s all wood and the aesthetic is natural and elegant. The end result is a structure with patterns that define a home. From sleek and modern to more rustic and handcrafted, post and beam offers excellent design prospects for the home builder. Since Douglas Fir is relatively low in weight compared to its strength, it makes it an ideal choice for post and beam design. Used worldwide in heavy construction timber, it’s also capable of supporting heavy loads. Plus, Fir timbers have the characteristic of cracking and checking minimally when dried, unlike other timber varieties. The timber can be purchased unfinished or to the customer’s specifications. Equally important, Coast Douglas Fir is stronger than other Douglas Fir and Larch species in its strength category. Demanding post and beam applications are easily handled by Fir. Longhouse offers quality high grade Fir post and beams. Cost is obviously also a factor in choosing Douglas Fir timber over other wood species. The prices of wood types vary considerably, so ask a sales professional for a comparison so you can select the one in line with your building budget. Also consider that while Oak timber is hard and strong, it tends to twist and crack. Cypress and Cedar timbers do not have the same load capacity as Douglas Fir or Oak. 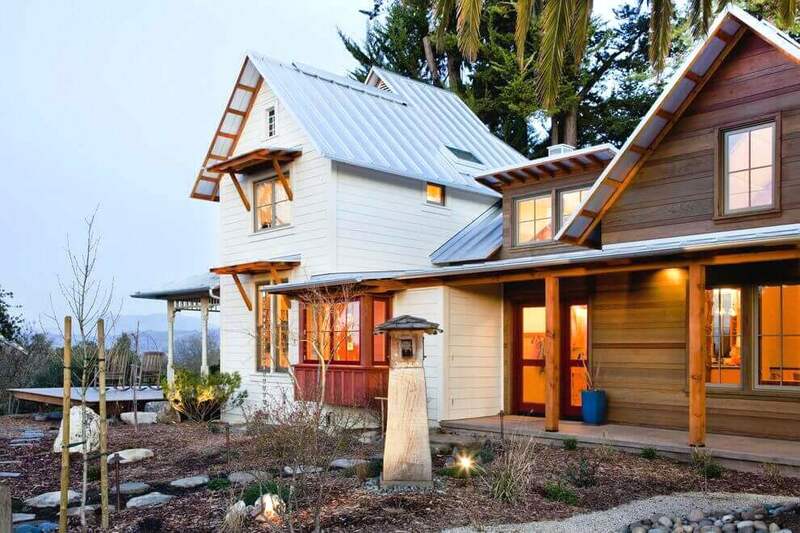 Furthermore, if the timbers will be exposed to the outside elements, it eliminates certain wood that does not stand up to inclement weather as well as Douglas Fir. Finally, shipping a wood species that is not local will also add to delivery costs. The team at Longhouse is available to assist you and guarantees customer satisfaction upon delivery. Choosing timber sourced from a local business dedicated to sustainable forest practices is a no-brainer. In addition, Longhouse wood is FSC Certified and an ecologically sound choice.